One day when I was reading a weekly magazine, my eyes were wedged on an interesting box report. A college going student was making an accusation against a well-known television and commercial ad director for pinching his tune and using it in the commercials that the director had made. I presume such allegation made by that fellow had no further improvements and the gossip clogged there. But if the matter was brought before the Court and made proved, that would have established a perfect example of infringement of copyright protection, which is a concerned area of Intellectual Property Rights. Nevertheless, such kinds of allegations are not very rare in recent times around the world. And in many cases such matters reach at a more serious level and the parties end up knocking doors of courts for justice. The term 'copyright' itself is a form of protection on certain types of intellectual works created by anyone. The area of copyright is the protection of literary and artistic works. These include writings, music, works of fine arts such as paintings and sculptures, and technology based works such as computer programs and electronic databases. The purpose of copyright protection is to promote composers, authors, designers or any other creative individuals by rewarding them an exclusive right over their creations. But it protects only the expressions of thoughts not the ideas. For example a published story based on love and romance between a man and woman despite their family restrictions and other obstacles is protected. But such idea or plot will not enjoy the protection under copyrights. Many writers can write stories based on the similar plots but as soon as the thought is expressed in a material form, it acquires the protection of copyright. Most of the countries around the globe recognize copyrights protection by joining several conventions and through signing treaties and also provide copyright protection by their national laws. In addition to that, in many places violation of such protection is treated as a serious offence and remedies under both civil and criminal laws are available. Looking back at the history and development, the oldest international convention governing copyrights was the Berne Convention (1886) where a formative definition of rights relating copyright protection was introduced. Article 2 of the said convention provides, “The expression 'literary and artistic works' shall include every production in the literary, scientific and artistic domain, whatever may be the mode or form of its expression”. Though it is one of the oldest conventions on copyright protection but it has been revised several times and the latest version was adopted in Paris in 1971 and it was further amended in 1979. Another agreement on Trade Related Aspects of Intellectual Property Rights (TRIPS) emerged from the Uruguay Round of trade negotiations and is administered by the World Trade Organization. The TRIPS agreement along with other things contains a reference to the substantive provisions of Berne Convention. In order to comply with the TRIPS agreement, countries have to comply with the provisions of Bern Convention, after which there are a number of additional norms of protection that are introduced by TRIPS agreement regarding new types of creation and new forms of exploitation. Following the footsteps of many other countries, Bangladesh became a member to the Bern Convention and a member and a signatory to the TRIPS agreement. These steps were taken to ensure and protect the rights nationally and internationally concerning copyrights along with other areas of Intellectual Property Law. 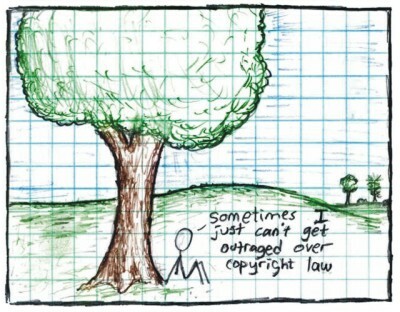 And the Act protecting copyrights, The Copyright Act, 2000 (Act No.28 of 2000) came into force in the same year. Enactment of this legislation positively unlocked a new horizon to the field of artistic and literary works. Section 14 describes the areas that are covered by this Act relating to dramatic, literary, musical works, computer programs, artistic works, cinematograph films and sound recordings. Right of reproduction, translation, broadcasting and performances are also concerned areas of copyright. The Government of Bangladesh had established a copyright office at Agargaon, Sher-e-Bangla Nogor under Ministry of Cultural Affairs. The office is placed under the direct control of a Registrar who is appointed by the Government along with Deputy Registrars to serve all the necessary acts for registration of copyrights and other copyright concerned issues. According to The Copyright Act 2000, the creator of the creation holds the ownership of his work unless the author in such manner made it where a proprietor of a newspaper or magazine employed him or he had gone under a contract with a production house where all the rights will be reserved by that proprietor. Once copyright acquired, it continues for 60 years from the year of death of the copyright holder and for photography it remains for the same period of time but starts from the date of publication. The Act was introduced not only to ensure the rights of the author or creator of intellectual works but surely it is also a great source of contribution towards economic development in the related fields. Therefore, to ensure such rights, infringements of the provisions of the Act are considered as infringements in both civil and criminal laws and remedies are obtainable. A simple example of infringement of copyright protection is to produce copies of a work without the proper authorization of the author. Section 76 of the Act provides remedies of civil nature such as injunction or damages and on the other hand, section 82 to section 93 provides remedies in offences that are treated as criminal nature, which includes imprisonments, fines and power to seize infringed copies. In the present context of Bangladesh, though sufficient laws are provided but violation of the provisions provided by The Copyright Act 2000 are very common in our present scenario. And the sufferers do not include only the authors or creators but also the production houses or companies who are rolling the business obtaining rights in various manners. As, in most cases, the protection of copyrights are reserved by them and such infringements damage them financially. Even the general people are victims of loosing their part of rights by paying the same amount for illegally copied items where they could purchase the original item with more or less the same price. Availability of pirated CD's, VCD's and DVD's on a large scale of renowned singers, Bangladeshi films and unauthorized photocopies of books are probably the most alarming situation that we are facing at the moment. It is not hard to find pirated CD's or photocopied books anywhere in the country. This invites a loss of interest among the copyright holders and not only that; the Government surely looses a handsome amount on collection of revenues. Though a few attempts are made by the law enforcement agencies but these initiatives do not stop committing such offences by a group of people. The Audio and Video Production companies along with the Publishers of Books are raising their voices everyday but the concerned authority pay attention to least of them. Looking at the international standings of copyright protection, many countries consider collection of their revenues through literary, artistic or musical works as a significant source. Bangladesh has a long heritage of being culturally developed and is full of creative minds. But if, adequate shields are not offered to prevent such infringements on their deserved protection, this may lead to a devastating discouragement to this day by day flourishing industry. The writer is a right activist and law analyst.